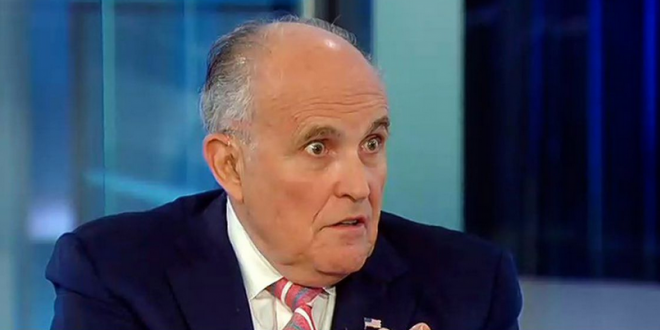 Giuliani Rants: Buzzfeed's Report Is Categorically False And "Born Of Michael Cohen's Malice And Desperation" - Joe.My.God. “Any suggestion — from any source — that the President counseled Michael Cohen to lie is categorically false. Michael Cohen is a convicted criminal and a liar. To quote the prosecutors, he has traded ‘on a pattern of lies and dishonesty over an extended period of time’ and for that ‘he is going to pay a very, very serious price.’ Today’s claims are just more made-up lies born of Michael Cohen’s malice and desperation, in an effort to reduce his sentence.” – Rudy Giuliani, in the first direct denial from the Trump team. Buzzfeed claims their sources are two government officials, not Michael Cohen.